This lil’ drink recipe was inspired by the super goth dahlias that are currently chilling in a vase on my nightstand. Their deep dark purple hue makes me excited for this month. It’s gettin’ all fall-like up in my house. This week I have downright earned my weekend. There have been a few allergy attacks, lots of emails, a parking ticket, one vet visit for Amelia which ended in her wearing a cone (she can no longer bear corgi children, but she’s a-ok!) and more emails. I’m gonna need a drink come 5pm. Maybe sooner. One of my favorite drinks in the world is a caipirinha. I’d categorize it as a Brazilian mojito, but made with cachaca. It’s usually what I order when I’m back home in Florida. It’s a beach-day drink. This drinks is its weird, goth-y cousin who no one understands…made with vodka. I drink pomegranate juice year around. I love it. I actually love it even more when I mix it with a bit of iced green tea. I get weird with it! I also can’t even imagine whose job it is to juice those teeny tiny pomegranate seeds. I’m glad that’s not my job, I just know I’d be terrible at it. The pomegranate and tarragon are a winner together. I love the anise-y notes with the tart and fruity pomegranate. 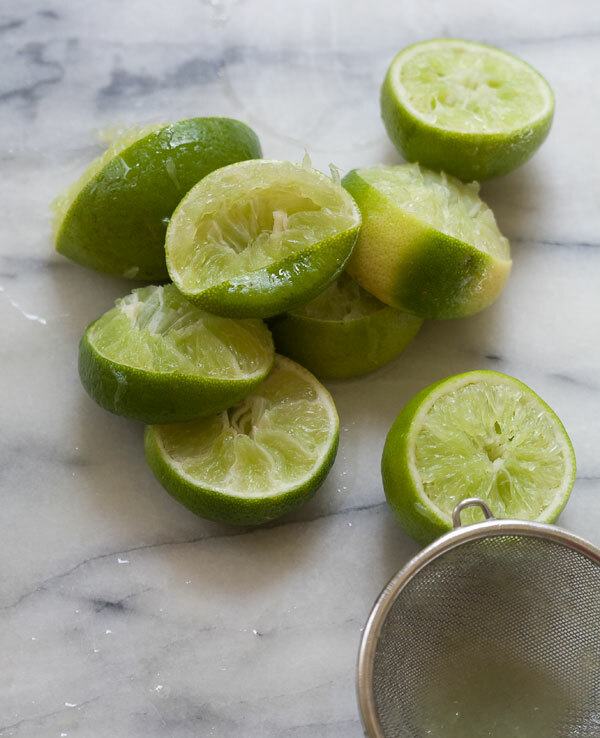 The lime juice adds a nice freshness and the sparkling water makes your nose tingle a bit. It’s refreshing with fall flavors. I dig it. To a small saucepan, combine the sugar and water. Heat over medium-low until sugar has dissolved. Add the sprigs of tarragon and cook for an additional 1-2 minutes. Turn off the heat and allow the tarragon to steep for 10 minutes. Strain, discarding the tarragon and set aside. Garnish with a sprig of tarragon. Repeat the drink-making process until you've made all four. Serve immediately. (This drink would be awesome for a lil’ Halloween shindig. Invite your guests to join on RecApp by Stoli (their new app) to capture all of your party pics. This is a sponsored post from Stolichnaya. All opinions are my own. Thank you for supporting the brands that keep A Cozy Kitchen cozy. what a nice drink!!! thanks for the recipe!! When think of pomegranates, I just think about the amount of mess that must come from juice splatter at getting the seeds out! This is a beautiful drink! Definitely remaking for my next party. Isn´t caipirinha amazing? We love it, and use all kinds of fruits. Never tried with pomegranates, though. Would you mind if I made a correction? Actually, is caipiriNHa. I know that “nh” doesn´t make sense to you… And when we use vodka instead of cachaça, we call it caipiroska. And we use lots of sake either, and name it sakerinha! Of course, cachaça makes the real drink, but why not experiment? But never mind. Yours looks delicious, as everything on the blog. And when you have a chance, try it with passion fruit. You´ll love it! YES! I corrected it. Thank you thank you! I love the sake addition for a sakerinha. I’ll have to try it! A lot of my family lives in Santos, Brazil. I’m so glad you’re reading from there! I love it! Yes pleasee I need about 5 of these. Friday, you are the best! Juicing pomegranates would suuuuuck! Thank God you can buy it already made! This combo sounds delightful! These look soo good! Wish I had one today! 🙂 Your photos are absolutely gorgeous! This drink is just downright lovely! I’d love this drink, for sure! I love an herb infused cocktail and your description is just the best…cause I’m the weird, black nail polish wearing, cousin who uses “too many big words” in my fam. This drink and I would totes get along. Hahhaa! Too many big words. YES. This looks great–particularly after a long day! 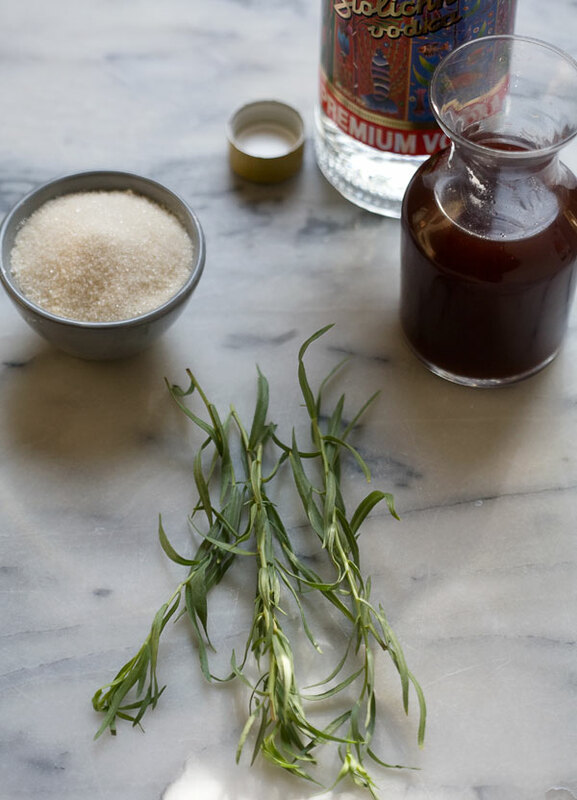 Where did you find the tarragon simple syrup? I fear I won’t be able to find it at my supermarket. Oh I made it. It’s in the directions of the recipe! What a delicious use of fragrant tarragon. Cheers! 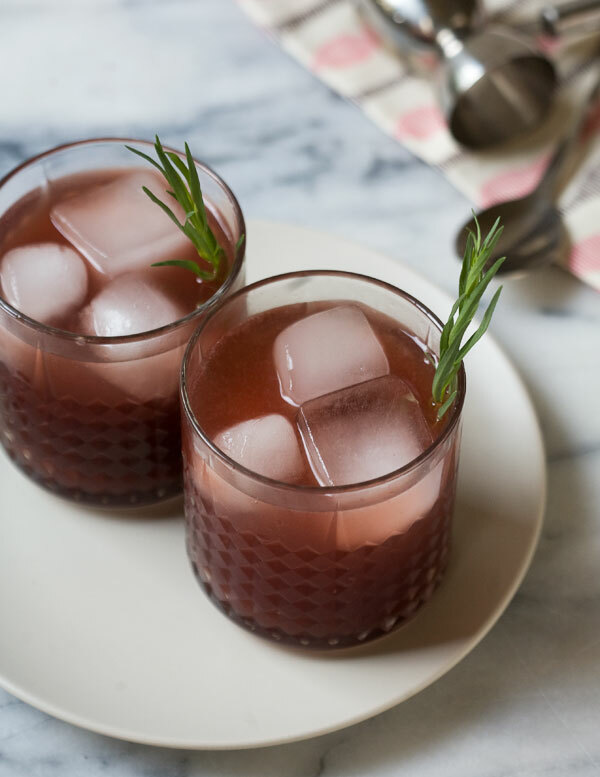 My boyfriend is quite the tarragon lover, and I love the idea of pairing it with pomegranate. Also, LOVE those glasses. Cheers!